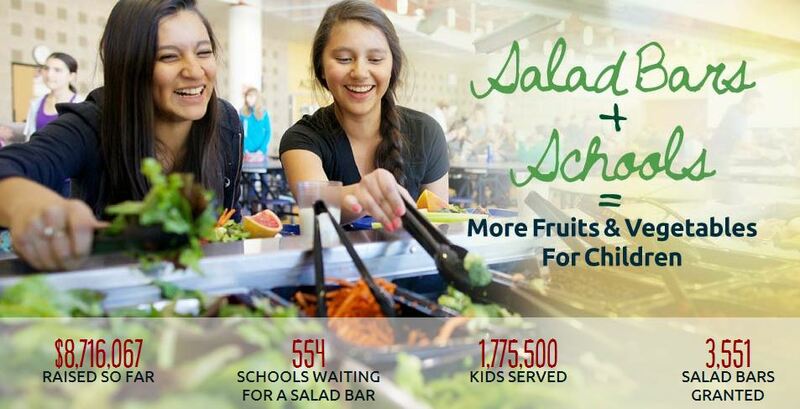 The goal of Let’s Move Salad Bars to Midwest Schools is to increase children’s fruit and vegetable consumption by donating salad bars to schools in IL, IN, MI, MN, OH and WI. Visit SaladBars2Schools.org for more info and to nominate your school. Contact a Cambro rep for more information on Cambro Food and Salad Bars. The United Fresh Foundation, a founding partner of the national Let’s Move Salad Bars to Schools initiative, works with the produce industry, foundations, allied organizations, and others to support school salad bars.